Today, the power of regenerative medicine allows researchers to transform skin cells into cells that closely resemble heart cells, pancreas cells and even neurons. However, a method to generate cells that are fully mature - a crucial prerequisite for life-saving therapies - has proven far more difficult. Yesterday, researchers at the Gladstone Institutes and the University of California, San Francisco (UCSF) announced an important breakthrough: they have discovered a new method to create mature, fully functioning liver cells that flourish on their own, even after being transplanted into laboratory animals modified to mimic liver failure. The liver cells were developed from induced pluripotent stem cells that were created using skin cells. These results offer new hope for the millions of people suffering from, or at risk of developing, liver failure -- an increasingly common condition that results in progressive and irreversible loss of liver function. At present, the only option is a costly liver transplant. So, scientists have long looked to stem cell technology as a potential alternative. But thus far they have come up largely empty-handed. "Earlier studies tried to reprogram skin cells back into a pluripotent, stem cell-like state in order to then grow liver cells. However, generating these so-called induced pluripotent stem cells, or iPSCs, and then transforming them into liver cells wasn't always resulting in complete transformation. So we thought that, rather than taking these skin cells all the way back to a pluripotent, stem cell-like state, perhaps we could take them to an intermediate phase." explained Dr. Ding, one of the paper's senior authors, who is also a professor of pharmaceutical chemistry at UCSF, with which Gladstone is affiliated. This research, which was performed jointly at the Roddenberry Center for Stem Cell Research at Gladstone and the Broad Center of Regeneration Medicine and Stem Cell Research at UCSF, involved using a 'cocktail' of reprogramming genes and chemical compounds to transform human skin cells into cells that resembled the endoderm. Endoderm cells are cells that eventually mature into many of the body's major organs -- including the liver. "Instead of taking the skin cells back to the beginning, we took them only part way, creating endoderm-like cells. This step allowed us to generate a large reservoir of cells that could more readily be coaxed into becoming liver cells." 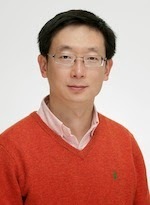 added Gladstone and CIRM Postdoctoral Scholar Saiyong Zhu, PhD, one of the paper's lead authors. "The cells began to take on the shape of liver cells, and even started to perform regular liver-cell functions. They weren't fully mature cells yet -- but they were on their way." said UCSF Postdoctoral Scholar Milad Rezvani, MD, the paper's other lead author. "Many questions remain, but the fact that these cells can fully mature and grow for months post-transplantation is extremely promising. In the future, our technique could serve as an alternative for liver-failure patients who don't require full-organ replacement, or who don't have access to a transplant due to limited donor organ availability." added Dr. Willenbring, associate director of the UCSF Liver Center and the paper's other senior author.